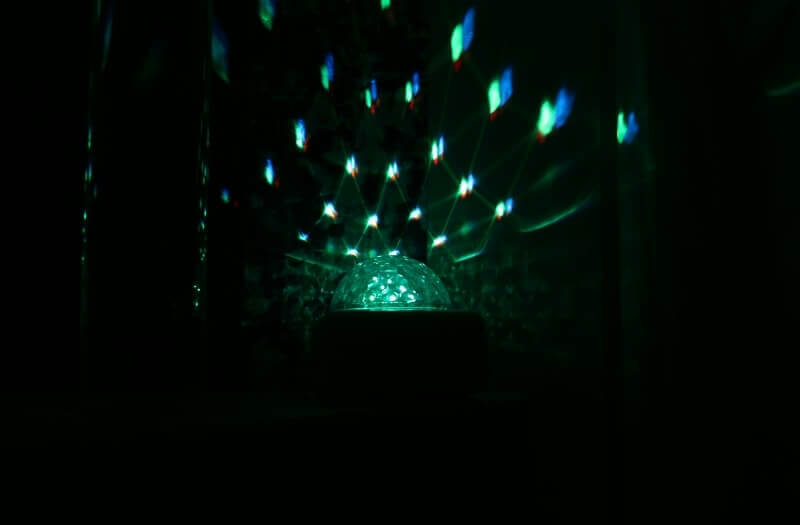 The Dome Light creates a light show across your whole room. 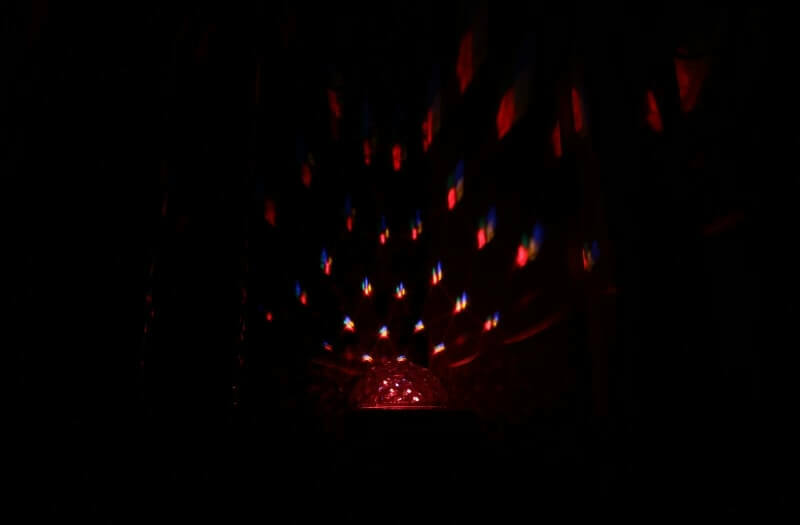 Simply fit the Dome Light in the corner of a room, plug in and be dazzled by the colour effects and patterns it produces. 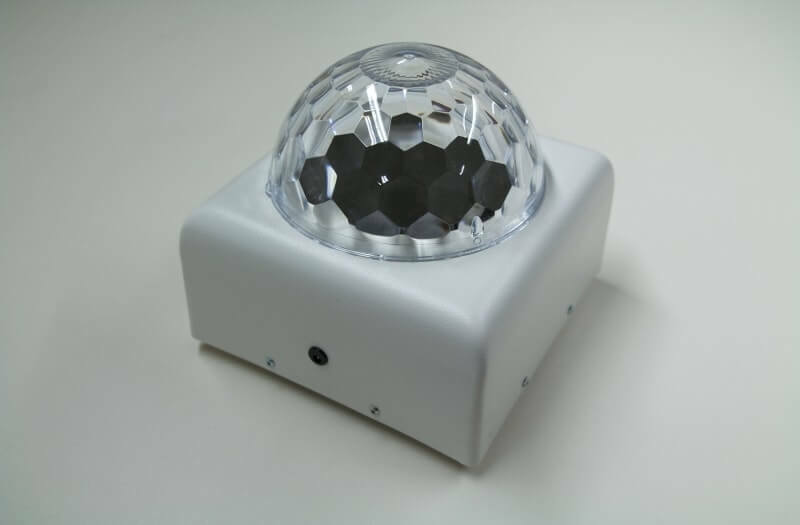 The Dome Light is well suited to a budget-friendly sensory space. The dome cycles through a host of different colours that the user will be visually stimulated by to create an engaging sensory experience. 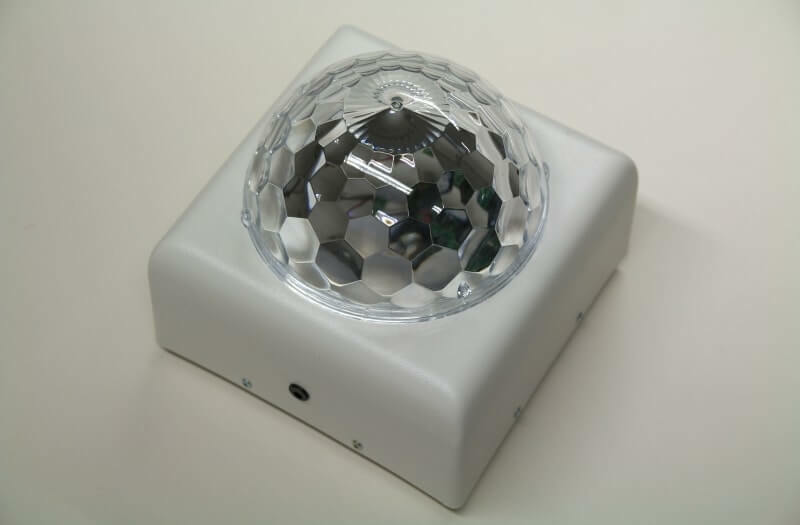 Benefits of the Dome Light include visual sensory stimulation which helps with calming a user in a sensory space. 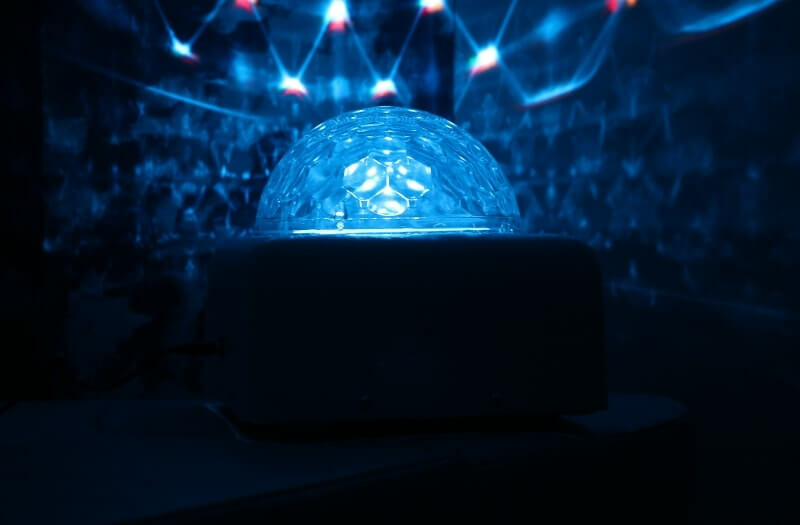 The Dome Light produces a mesmerising light show all contained in a small box. 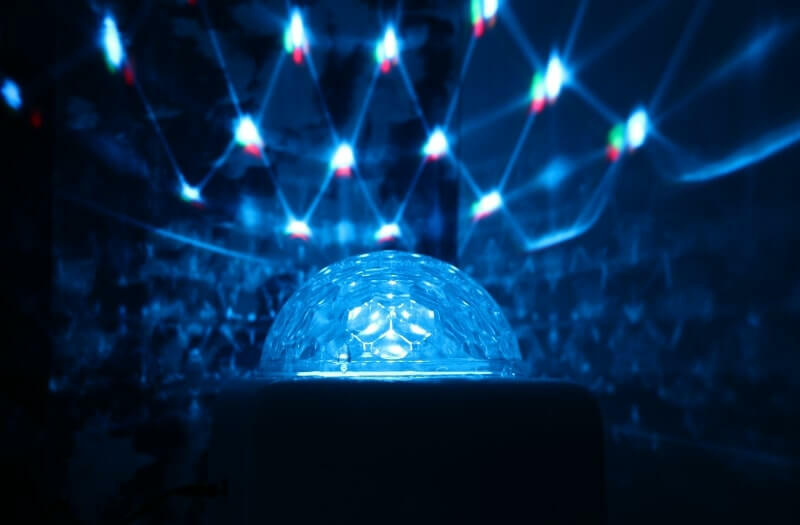 The patterns of light are produced through the domed part of the box and will light up any sensory room. The Dome Light can be placed in the corner of a room to shine brightly on a wall surface adding extra calming stimulation to sensory rooms. 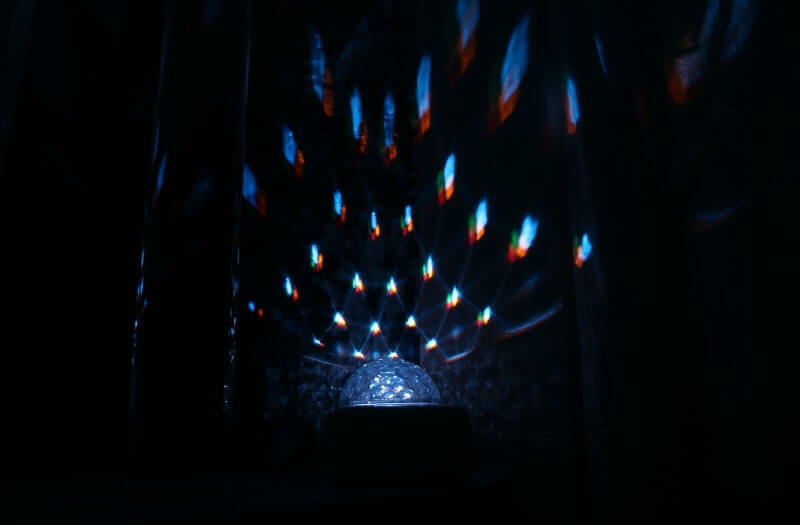 Simply plug in and play with the Dome Light as it creates a magical world of colours, perfect for budget sensory spaces.